Russia has deployed at least two of its last generation stealth fighter jets, Su-57, in the Syrian skies as Moscow continues to offer air cover to pro-Syrian regime fighters to crash rebel pockets, including in Eastern Ghouta. The jets were filmed landing at Russia’s Khmeimim airbase along the Mediterranean coast. 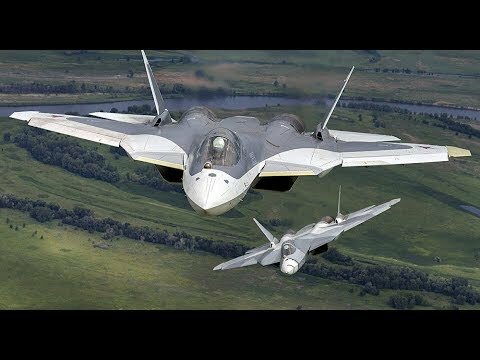 Experts deem the deployment by Moscow as an attempt to showcase and test its advanced aircraft in Syrian mayhem. US officials have repeatedly accused Russia of using Syria “literally as a showroom” for its military and defense industries. Written by: Jaber Ali on February 23, 2018. Posted by Jaber Ali on Feb 23 2018. Filed under Headlines, World News. You can follow any responses to this entry through the RSS 2.0. Both comments and pings are currently closed.